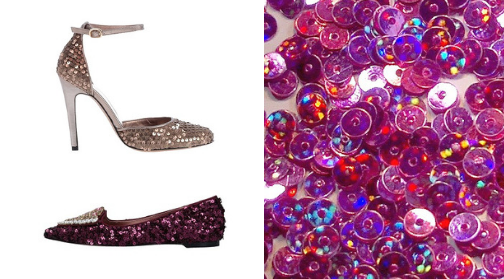 Sequin shoes are like costume-jewelry for feet – pageant-like and sparkly. They give you an instant shot of holiday spirit. These small, shiny disks sewn onto a pair of heels or flats are the closest you will ever get to feeling like a cast member of the Nutcracker AND a surefire way to make your legs stand out at a party. Sequin covered D’Orsay pump by Mascaró. $123 on YOOX. Also available in silvery grey. Heel height: 4.1″. 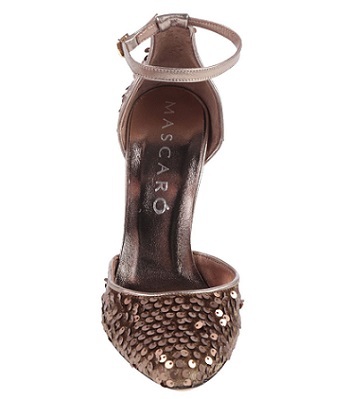 The sequin pump features a buckled ankle strap closure and leather lining. 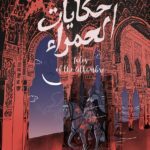 By Mascaró. $123 on YOOX. To buy, click on the picture. Mascaró is a famed Menorcan brand led by Ursula Mascaró, a third-generation shoe designer. The brand just celebrated its 100 years anniversary, having started out as a maker of ballet slippers. The Mascaró family of brands includes the well-known Pretty Ballerinas and the designer’s signature Ursula Mascaró. With light copper (or “khaki”) colored sequins mounted on a velvet surface and metallic leather detailing, this D’Orsay-style pump is an elegant deluxe creation, currently at a huge discount on YOOX. 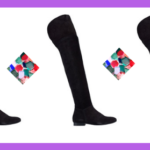 Mascaró pumps usually go for a double or triple the amount. Sequined rhinestone embellished slipper by RAS. $144 on YOOX. Wine-colored sequined loafer by RAS. Leather lining. $144 on YOOX. RAS Shoes is great at sumptuous, baroque quality shoe embellishments. The brand goes for the maximum dazzle effect and rarely misses. This thickly sequined loafer in deep purple provides a beautiful backdrop for the large heart-shaped rhinestone piece in the front. RAS shoes are flamboyant mood-lifters. One down side (at least for me) is that they are a rather narrow fit. I own a pair of open sandals by RAS and they work, but only just. With my feet being on a wider side of normal, closed shoes by RAS are not an option. Too bad. This loafer is rather spectacular. 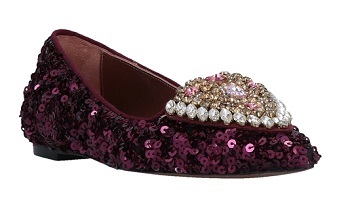 “Blushing” graduated effect sequin ballet flats by Pretty Ballerinas. $219 on YOOX. Sequin ballerinas in azure and gold. By Pretty Ballerinas. $219 on YOOX. Pretty Ballerinas, the ultimate girly ballet flats, often come in glittery versions, including sequins. For this post I chose a thinly sequined version in two graduated color options: blushing-silver, and azure-gold. There are sequined Pretty Ballerinas with more texture, including currently on YOOX, but I find that the brand does not pull off exuberance and over-the-top aesthetic as well as RAS. I think that both color versions are lovely, especially for someone very young. There is a Disney princess quality to them that would not work well for anyone over twenty. 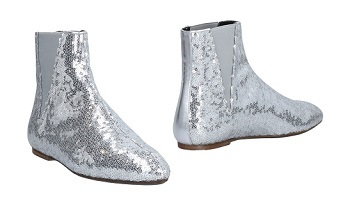 Sequin flat Chelsea ankle boots by Loewe. $317 on YOOX. Last, but not least, check out these sequined Chelseas by the grand Spanish luxury brand Loewe. Loewe was born in Spain around 170 years ago and is known, first and foremost, for its exquisite leather accessories. The brand is now owned by LVMH – the huge French luxury conglomerate, but its identity (and production facilities) remain rooted in Spain. The Chelseas look like wearable disco balls – to really pull them off, you have to have a theatrical and, preferably, public personality. These boots were made to be seen. With these sequin shoes, let the holiday season begin! To buy any of these shoes, click on the images to be redirected to the corresponding YOOX product page. Disclaimer: The Spanishoegallery Blog is affiliated with YOOX, a leading online fashion retailer based in Milan, Italy. This means that if your purchase a product after clicking on a picture or text link on our site, we get a 3% commission on the purchase. YOOX is the biggest online (and overall) international retailer of shoes Made in Spain. The shoes featured are an independent choice of The Spanishoegallery Blog team.